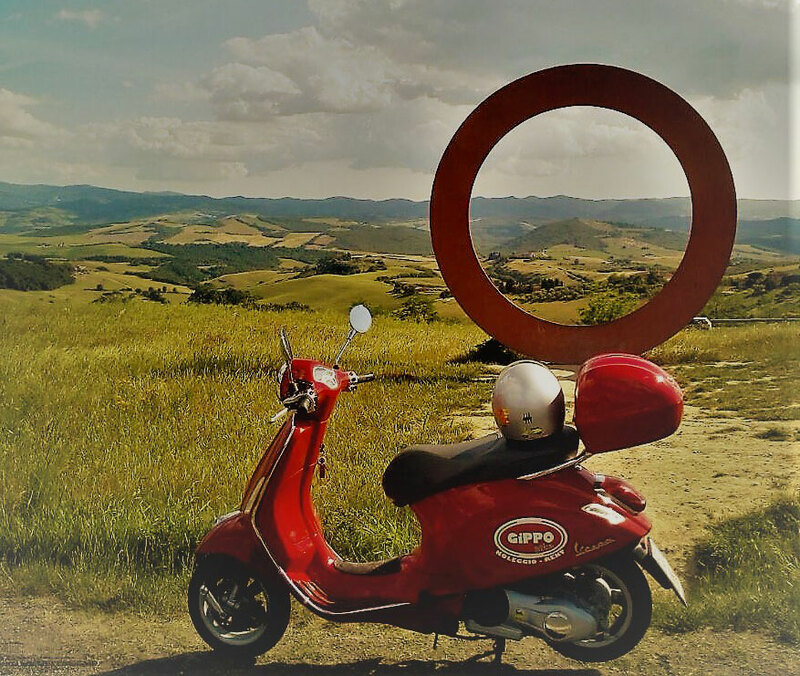 Gippo bike is located in the heart of the Val d’Elsa, an ideal place to visit cultural historical destinations and panoramic scenic views of rare beauty that have remained intact over time. 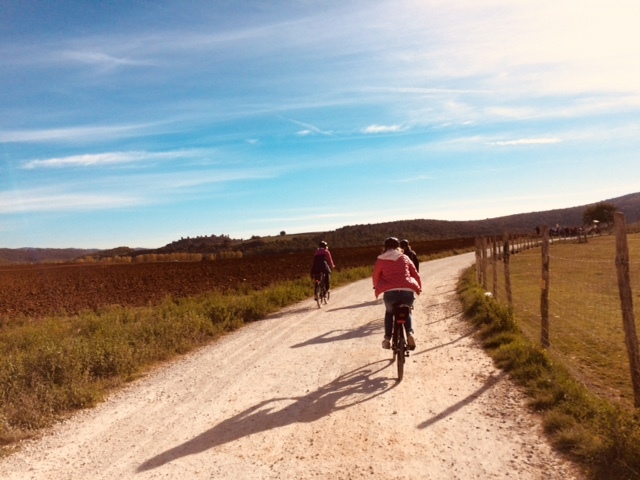 Bike rental in Siena, Colle di Val d’Elsa, San Gimignano, Casole d’Elsa, Volterra Castellina in Chianti e Greve in Chianti. We offer a wide selection of rental bicycles and we cover a wide range of routes , so why not take a bicycle with assisted pedaling and allow yourself to cover distances of 60/70 km and visit Tuscan Chianti areas from Florence to Siena characterized by beautiful hilly landscapes and spectacular medieval villages, territories where the most authentic Tuscan atmosphere is breathed. We recommend following the scenographic SR 222, better known as “Chiantigiana”. It is a narrow road that – between road curves and breathtaking views – leads travelers to Siena, crossing one of the world’s most famous wine-growing areas. Greve in Chianti, together with the municipalities of Radda, Gaiole and Castellina, is part one of the oldest wine production areas, still recognizable by the famous “Gallo Nero” brand . Panzano in Chianti as an historical village mansion of Tuscan poet Dario Cecchini. San Gimignano is a Tuscan town of excellence, a UNESCO World Heritage Site, with its famous fourteen towers, enclosed by two kilometers of ancient walls , medioeval houses, unchanged squares giving us a perfect view of the medieval period. The Via Francigena lead pilmigrages through San Gimignano and it was the main route for Tuscan merchants on their way to the French fairs. In the historic center you will feel immediately surrounded by wealth of history , expressed by a sequence of churches, houses, towers and medieval palaces, and from the glimpses of the charming alleys and narrow streets . Val di Merse area with the basin of the river Merse and its affluent river Farma that with the great amount of water and mills in the Middle Ages became fundamental for the production of Siena flour. Today it is almost entirely a natural reserve, perfect for a relaxing holiday close to nature. You can also admire one of the most famous and sought after places in Val di Merse, the Abbey of San Galgano, an authoritative example of Gothic-Cistercian style and an important tourist destination for its famous “sword in the rock” and the legend of the knight Galgano. Special spot for the most brave , suspended on a hump reachable via a long and winding road that after a extreme climb repays leading you to its wonderful views. Inside the town you will have the added gratification of the view of its narrow cobbled streets. 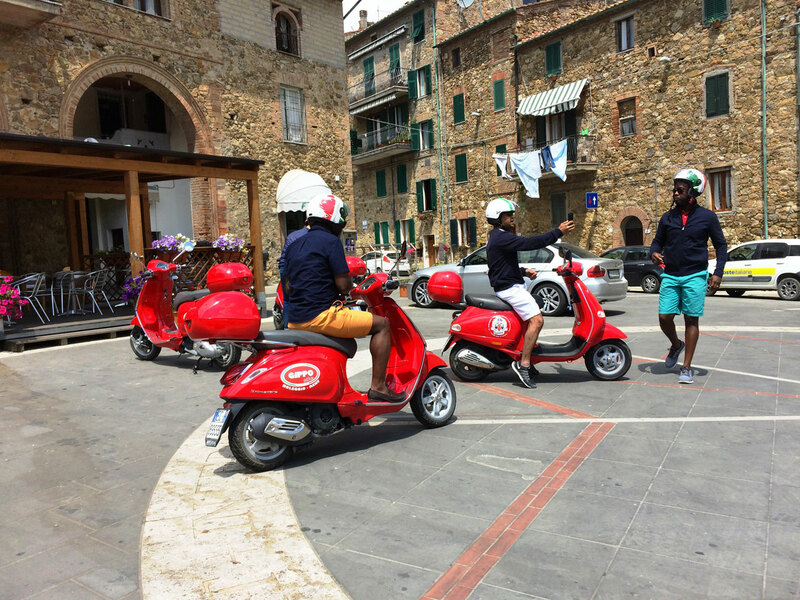 From San Gimignano to reach Volterra, we recommend a path along scenic roads that is a backward journey in the Middle Ages. You will be in contact with nature, admire scenic pastel-colored landscapes, dotted with olive trees, cypresses, oaks and ancient houses. The track followed is the ancient Via del Sale, also called Via Salaiola or Via Volterrana; this was traveled since the Middle Ages with wagons loaded with donkeys and mules. Sodium chloride determined the great economic development and the great ascension of the ancient Velathri, now Volterra. Gibbo bike offers the possibility to reach these areas and follow these paths by providing paper or GPS assistance.